Just like my 2017 Final Fantasy Record Keeper Tournament of Champions, the Theatrhythm Tournament of Champions seeks to settle once and for all the strongest characters in Final Fantasy. The Method: Assign points values to each character’s stats. Multiple characters from the same title are pitted against each other to determine who moves on to the next round. 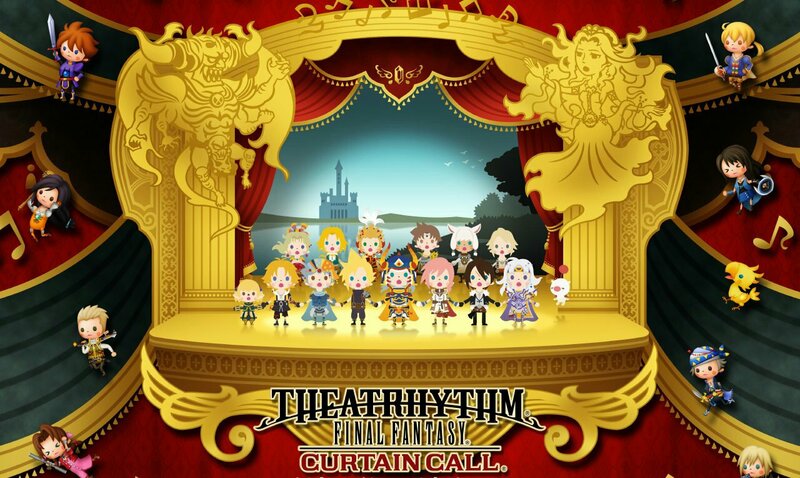 Theathrhythm Final Fantasy: Curtain Call Part Eight: The Game That Wouldn’t Die! Sometimes, it just seems like Versus Mode lets your opponent use Judgement a lot. Judgement is perhaps the most dreaded of all the VM skills. It makes anything less than a Critical a “Bad” note which saps your score. Continue reading Theathrhythm Final Fantasy: Curtain Call Part Eight: The Game That Wouldn’t Die! September 28, 2014: I unlocked a new song from Final Fantasy Fables: Chocobo’s Dungeon! I wonder what it is… “Raffaelo Battle”? Well. So much for that plot twist. Raffaelo started off as a baby, but he grows at an unnatural rate as Chocobo explores more of the dungeons of Lostime. The more Raffaelo grows, the less normal he feels, and admits to having dark thoughts sometimes.